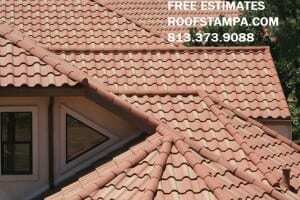 How much will a new tile roof cost in Tampa Florida? The cost to install a new tile roof in Tampa Florida depends on many different factors such as the size of the roof, the architectural design of the roofs, the time and labor required to remove the old roof and install the new tile roof, and of course the materials required to install a new tile roof. Obviously there are too many factors to give a straight answer or even a rough estimate of how much it will cost to install a new tile roof. If you are seriously interested in knowing how much a new tile roof will cost, you will need to schedule an estimate with a professional roofing contractor in the Tampa Bay Area. To schedule a FREE ESTIMATE please fill out our free estimate form on our website or give us a call today.